Commodore lieutenant Stanislaw Hryniewiecki Primary School no. 9 in Slupsk was founded in 1957. There are now almost 250 students aged 6 to 13 in the institution. The school is named after a navy captain who commanded Polish warships during WW II and therefore maritime traditions constitute an important part of the curriculum. Our teachers also teach in hospital wards where children with serious injuries have to stay for longer periods. The ceremony of children admittance to School Community. 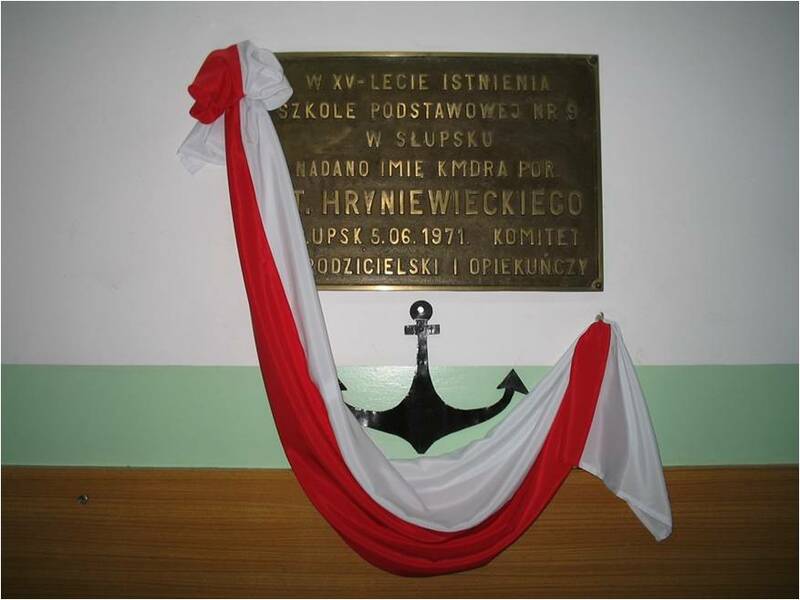 In the picture: Commemorative plaque founded on the 15th anniversary of the school. On that occasion the school was named after Stanislaw Hryniewiecki.